Happy Monday, y’all! I’m really excited for this week because I’m going to have three posts going up! I shared about how to host a casual engagement party a little over a week ago, but I didn’t share how to make some of the DIY decor and food items, so I wanted to share those over this week. Y’all I almost didn’t write a post for this because this DIY is so easy. 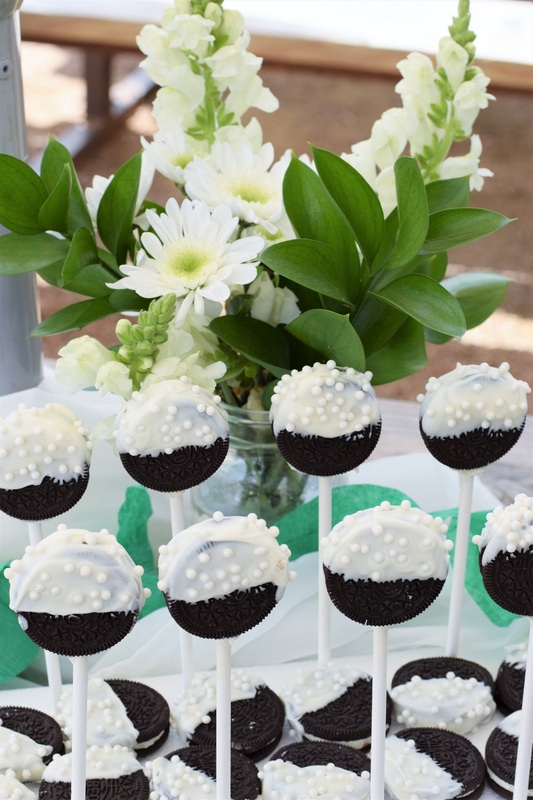 Oreos + white chocolate + pearl sprinkles = wedding event dessert perfection. 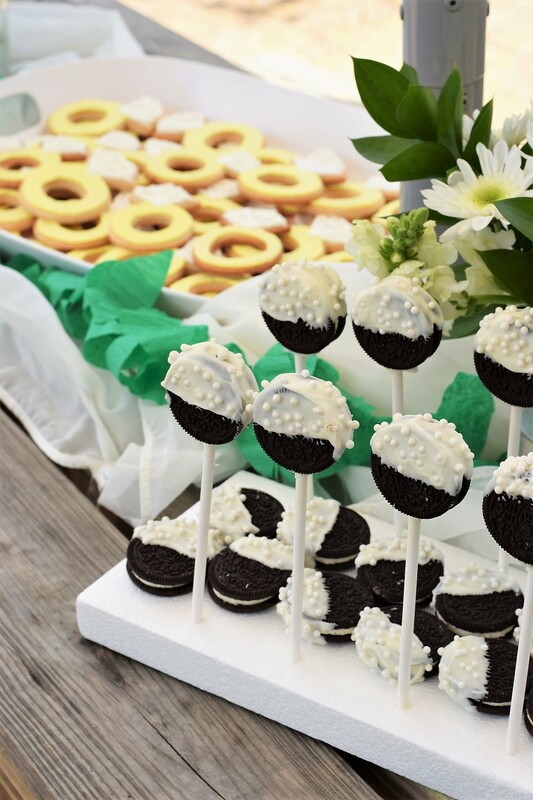 I made a batch of these white chocolate dipped Oreo pops for Megan and Ben’s engagement party since the two of them love Oreos so much. They were such an easy addition to the menu that there was no way I could pass up the opportunity to make such a cute little treat. There are a few tricks that I learned, however, and if you don’t do them you will have quite a mess on your hands! 1. Start by taking your double stuffed Oreos and carefully twisting them apart so that you have two halves. Place them on a piece of waxed paper. 2. Put about 1/4 cup of white chocolate candy melts into a mug and microwave them at 30 second intervals, stirring in between, until they have all melted. 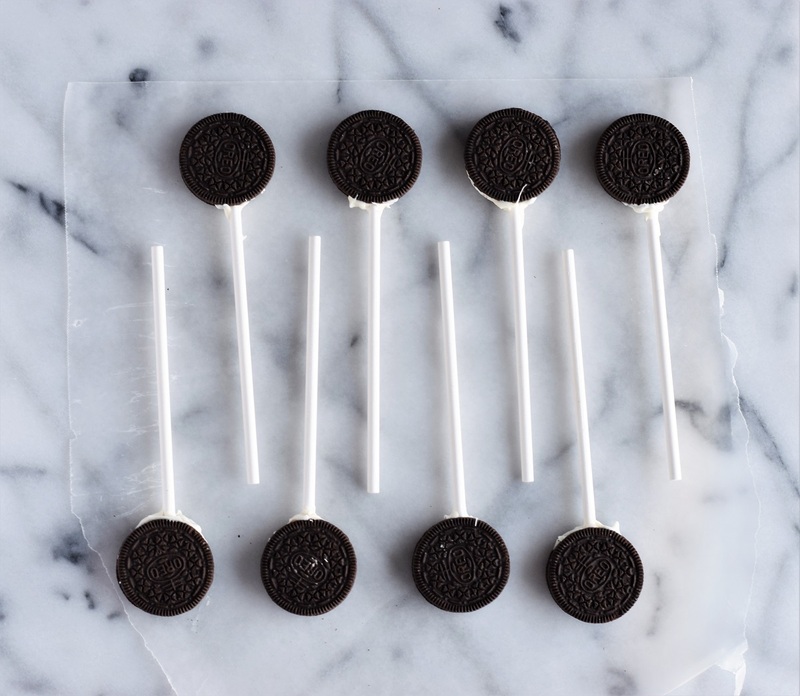 Take your lollipop sticks and dip them into the chocolate, and then press them into the frosted side of the cookies. Place the other cookie half on top. Repeat for the rest of the cookies, and then let them cool for about 10 minutes to harden. 3. Once the chocolate has hardened on the sticks, melt about 1/2 – 3/4 cup of white chocolate melts in your mug again in the microwave. Pour your white pearl candies into a small bowl and set aside. Simply dip the cookie pops halfway into the melted chocolate, pull them out, and let any excess chocolate drip off. 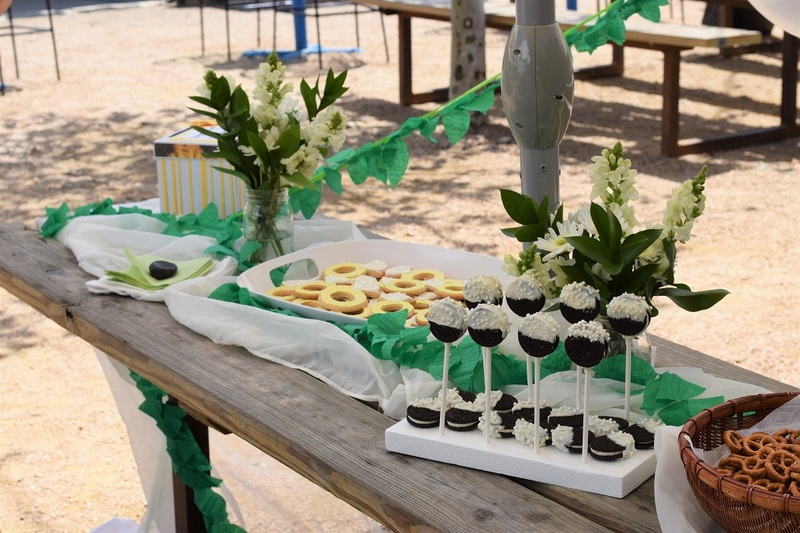 Sprinkle some white pearl candies on to the chocolate over the bowl to catch any that fall and then place the Oreo pops on a piece of waxed paper to cool. 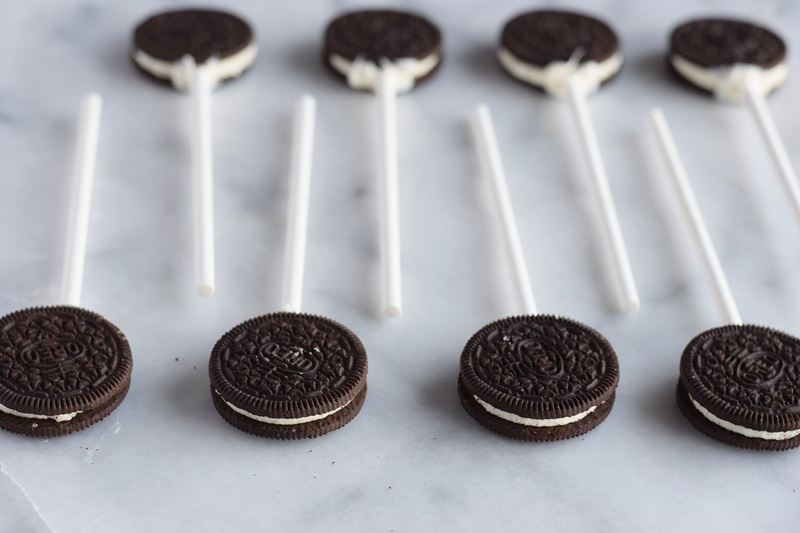 Once the chocolate hardens, place the Oreo pops into a sealed container for up to a week. These look amazing, will try it… my lil bros are gonna love em! Thanks! Oreos are already so good… but dipping them in chocolate doesn’t hurt! Yup, you’ve got that right!! Thanks! So glad you liked them!